It’s cold and flu season! 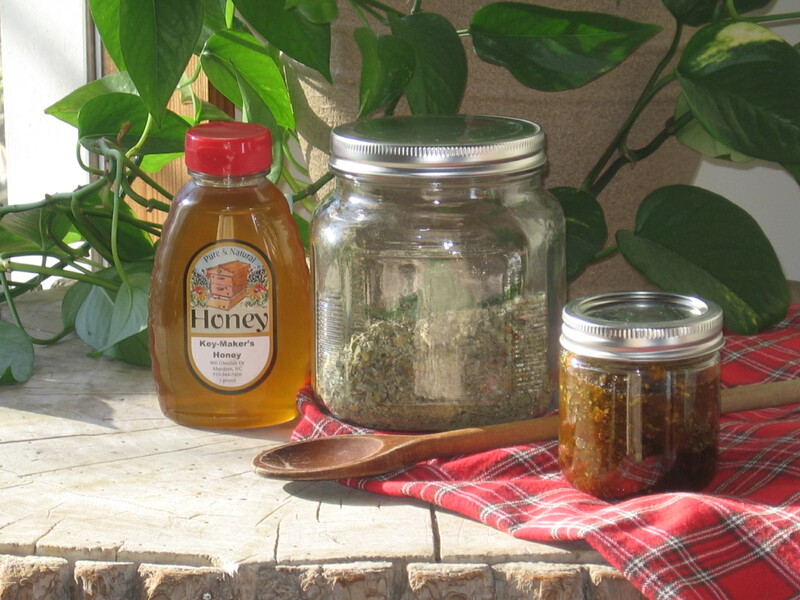 One of our favorite homemade medicines is infused honey for coughs and congestion. It’s ridiculously easy to make and tastes so much better than bought cough syrup. 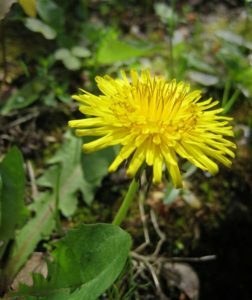 Homemade cough syrup can be made with any number of herbs but my all time favorite is a recipe of Susun Weeds’s using Coltsfoot (Tussilago farfara). 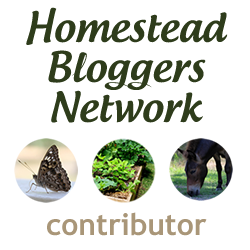 Your honey will need to sit about 6-8 weeks to infuse, so make sure you’re planning ahead! To make Coltsfoot honey, you will use the flowers and top 1 or 2 inches of the stems. I don’t cut all the way to the ground just so there’s less chance of getting dirt in the honey. This plant likes moist, shady places and can look similar to dandelion at first glance because of the flowers. The most difference will be seen in the leaves and stem. Coltsfoot leaves are broad, flat and shaped like a hoof, hence the name. The stem will be thick, reddish-brown and scaly with a solid center, unlike the dandelion who’s leaves are long and toothy with a smooth, green, hollow stem. 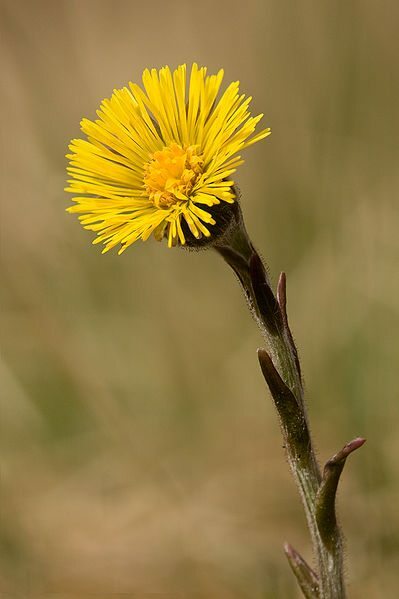 Another distinguishing characteristic of coltsfoot is that its blooms appear and die off before the leaves ever surface. This was reflected in its old latin name, “Filius ante patrem”, “the Son before the Father”. I can never remember the old latin name and always have to go back to my notebook to find it, but the concept sticks with me and helps me remember that little tidbit when I’m ID’ing a potential coltsfoot patch. The NEW latin name also gives us a clue to its use as an expectorant: “Tussilago farfara”. I’m no latin expert, but I can relate tussis to cough and Robitussin and “farfara” to sending the cough, “far, far away”. Hey, whatever works. Coltsfoot is hardy only down to zone 7, so we are right on the line here in North Carolina. It really prefers our cooler, northern elevations where the flowers first appear very early spring. Coltsfoot flower on the left, versus a Dandelion flower on the right. Note the more Aster-like rays of the Coltsfoot flower and the thick, reddish-brown stem. 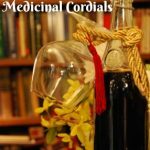 To make the cough syrup, simply pack your flowers and stems, fairly tightly, into a small jar and drizzle honey over the top until the jar is full, gently poking with a popsicle stick or butter knife to remove any air pockets. I have a “chopstick” that I use specifically for this purpose. Fresh flowers are best, but you can certainly use dried ones if that’s the only thing available. Once your honey is in, cap it and let it sit 6-8 weeks. After it has finished infusing, you can either strain it or not strain it, whichever is your preference. 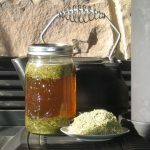 I like to strain it so that the honey can easily be taken by the spoonful, and save the flowers in a separate container. You can then make use of whatever medicinal value may be left in them by using small portions of the honey coated flowers, wrapped in cheesecloth, to sweeten warm teas or infusions or puree them to make medicine balls similar to lozenges. 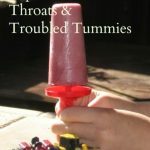 Stay tuned for a separate post on how to make those! 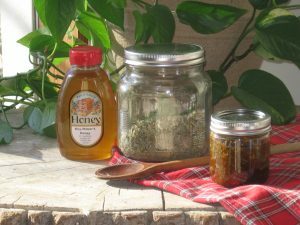 When talking about the use of honey in this recipe, it’s worth mentioning the value of using raw (unpasteurized) local honey. Raw honey is a natural immune system booster, has anti-bacterial, anti-viral and anti-fungal properties and is chock full of vitamins, minerals, enzymes and antioxidants. All of these things are pretty valuable to a body trying to fight off sickness. Local raw honey is even better because it contains pollen that is specific to your area and can really help with seasonal allergies. The rule of thumb is to start taking a daily spoonful of local honey a few months prior to allergy season to get the pollen introduced into the body and gradually build up your immunity. So, if the cough you are treating is the result of allergies, you may want to continue your spoonful year round, minus the coltsfoot, of course, so that your immunity will be built up before your allergic season rolls around again.